News from Space: First Couple to go to Mars! Jane Poynter and Taber MacCallum are a pretty interesting couple. Like most, they plan trips together to new and exciting destinations. But unlike most, they plan to go to Mars, and they just might see their dream come true. Twenty years ago, they founded the private space company Paragon Space Development Corporation, with the aim of finding the most feasible way to send two people on a round-trip flyby of the Red Planet. And now, after many years of planning, they may finally get to see it come to fruition. The only problem is, the window for this launch – in 2021 when planet Earth and Mars will be in alignment – is fast approaching. And a number of technical and logistical issues (i.e. how to shield themselves against deadly radiation, how to store their waste, how much food, water, and air to bring) still need to be resolved. 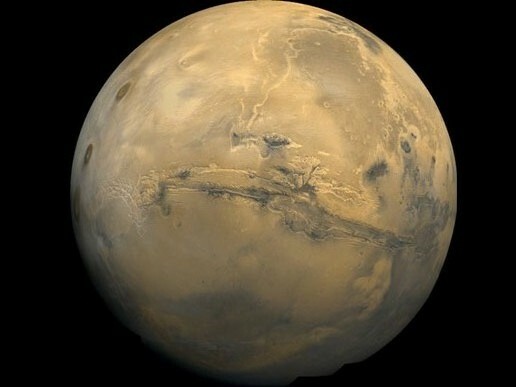 The mission – called Inspiration Mars and spearheaded by millionaire space tourist Dennis Tito – is the most ambitious of Paragon’s many projects. 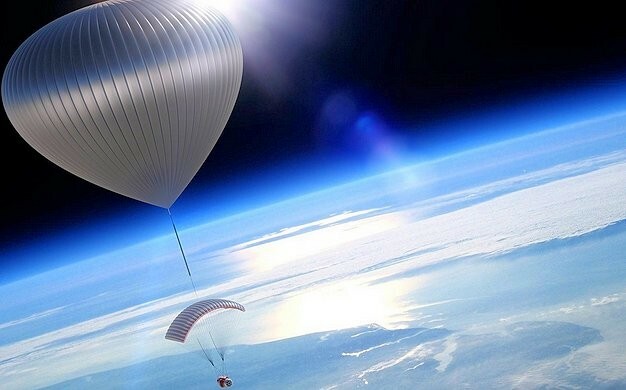 The company is also one of the country’s leading designers of life support systems and body suits for extreme environments, and they are currently developing a vehicle for commercial balloon trips to the stratosphere and technology for private moon landings. But they have the most grandiose hopes for Mars. They believe that sending the first humans into the orbit of another planet could ignite a 21st century “Apollo moment” that will propel American students back into the sciences and inspire young innovators. Beyond that, and in advance of NASA’s proposed 2030 manned mission to Mars, it might just inspire a full-scale colonization effort. The couple’s drive to explore space was born in a giant glass dome near Tuscon, Arizona called Biosphere 2 in the early 90s. For two years (between 1991 and 1993), eight people – including Poynter and MacCallum – lived inside this dome as part of a prototype space colony. The eccentric, privately funded science experiment contained miniature biomes that mimicked Earth’s environments. This included a jungle, desert, marshland, savannah and an ocean all crammed into an area no larger than two and a half football fields. The crew subsisted on a quarter-acre agricultural plot and went about their lives while medical doctors and ecologists observed from outside. All went relatively smoothly until, 16 months into the experiment, crew members began suffering from severe fatigue and sleep apnea. They discovered that the dome’s oxygen content had substantially dropped and, when one member fell into a state of confusion in which he could not add simple numbers, decided to refill the dome with oxygen, breaking the simulation of space-colony self-sufficiency. The project was deemed a failure by many, with Time Magazine going as far as to name it one of the 100 worst ideas of the century. Some of the easier ones to get your head around are things like depression and mood swings—that’s kind of obvious. Weird things are things like food stealing and hoarding. I came out the other side and was embroiled in a very fervent argument with my much older brother. And what was so disconcerting about it was that it really was hallucinatory. It was like I could smell it, feel it. It was very weird. Six months into Biosphere 2, the couple began to think about life after the experiment and channeled their waning energy into a business plan. They wanted to build on the skills and ecological knowledge they were accruing during the experiment, while also playing off Biosphere 2’s space-oriented goals, and finally landed on building life support systems for an eventual trip to Mars. MacCallum blogged about these plans while still living inside the dome, and managed to sign up Lockheed Martin aerospace engineer Grant Anderson as a co-founder, and signed legal papers with Poynter to incorporate Paragon. After Biosphere 2 project, both began working with a group from NASA to test an ecological experiment on the Russian Space Station MIR. Then in December 2012, Paragon teamed up with another commercial space flight company named Golden Spike to build a space suit, thermal control, and life support technologies for commercial trips to the Moon aimed to launch in 2020. In December 2013, they named former astronaut and personal friend Mark Kelly as the director of flight crew operations on World View, an effort to bring tourists on a balloon ride to the middle of the stratosphere by 2016. In short, Poynter and MacCallum have their fingers in just about every commercial space venture currently on the table outside of SpaceX and Virgin Galactic, of course. Over the past two decades, their company has grown to employ about 70 engineers and scientists and is still growing today. Their focus is on creative teamwork, hoping to foster the kind of innovative spirit needed to make space missions possible. Still, despite Paragon’s best efforts and accomplishments, many do not believe their ambitions to send a human couple to Mars by the 2020s will pan out. 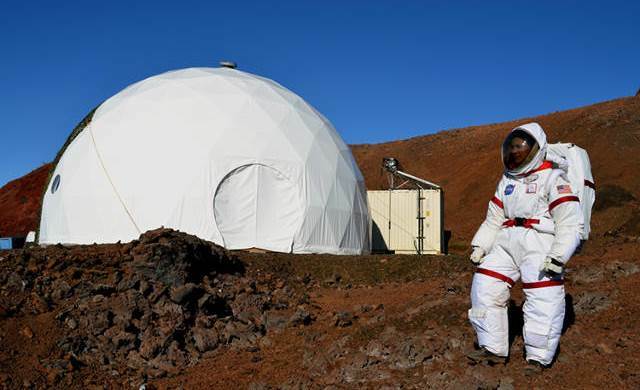 Former NASA astronaut Thomas Jones is one such person, who said in an interview with WIRED that he thinks that humans won’t reach Mars orbit until the 2030s, and will struggle to do so without the financial and infrastructural support of NASA. Originally, Dennis Tito hoped to finance the project entirely independently, using crowd-sourced funds and philanthropy. 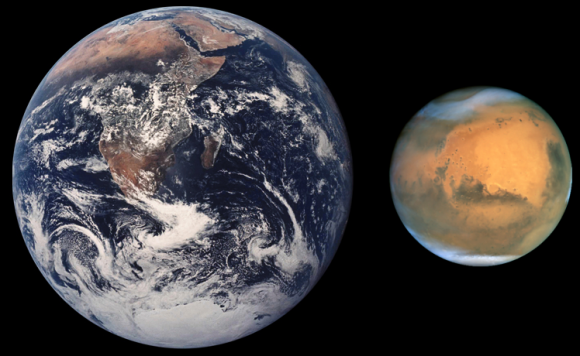 The original goal was also to get the project off the ground by 2017, when Earth and Mars would align in such a way that a rocket could slingshot to and from Mars in just 501 days. But with further analysis, Tito and Paragon realized they did not have the resources or money to pull off the mission by 2017. There was really no way that we could find to practically use existing commercial rockets. We were hoping we could pull together a mission using existing hardware, but you just don’t get to go to Mars that easy. 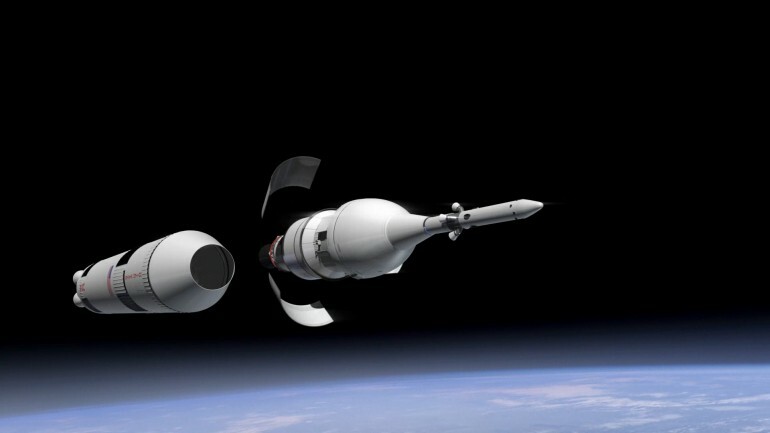 During recent hearings with NASA, Tito explained that he would need roughly $1 billion over the next four or five years to develop the space launch system and other aspects of the mission. NASA was not readily willing to agree to this and they put the issue on hold. But regardless of whether Inspiration Mars is successful in 2021, Jones believes these commercial space efforts will help stir momentum and public interest in space. I think it is going to lead to an explosion of ideas of how we can use space to make a buck, and that’s all to the good. And so if these companies can develop a track record of success, and people have greater confidence that they can personally experience space, then it may become more relevant to our society and country, and then the U.S. may have a broader base of support for funding for NASA. At the end of last year, the team successfully completed the major components of the life support system for Inspiration Mars and did a full test of all the major systems together in the lab. They recycled urine, made oxygen, and removed carbon dioxide from the system – all the things they would need to do to keep a crew alive for an Inspiration Mars mission. 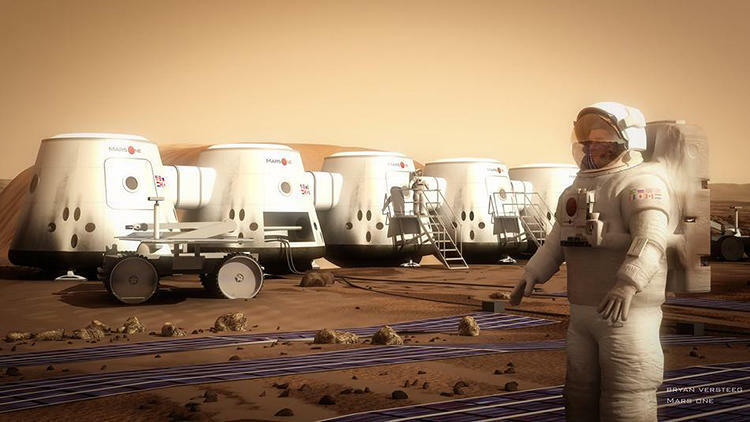 And MacCallum believes a trip to Mars that would use these life support systems could inspire the next great generation of innovators, much as the Apollo missions inspired the current generation of innovators and astronauts. McCallum turned five on July 20th, 1969 – the day that Apollo 11 landed on the Moon, and credits that historic event for inspiring him to take an interest in space and enter the Biosphere 2 project. And though they hadn’t originally intended to be the couple that would take part in the Inspiration Mars mission, they have indicated that they would be willing to throw their hats into the ring. After all, they meet the basic requirements for the mission, being a physically fit middle-aged couple, and the Biosphere 2 project lent them some experience living in isolation. That would have completely blown my mind as a middle schooler. And we would have 500 days to have these conversations with students all around the world. Of that, I have little doubt. And even if Inspiration Mars does not get off the ground (metaphorically or literally), it has hardly the only private space venture currently in the works. For example, Elon Musk and his commercial space firm SpaceX has made incredibly progress with the development of the reusable-rocket system. And Mars One, another crowdfunded venture, is still in the works and aiming to send volunteers on a one-way trip by 2024.